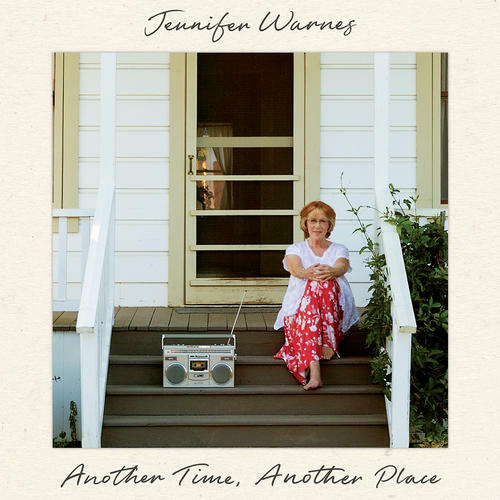 One of the most-loved singers of our time, Jennifer Warnes has returned with a modern-day masterpiece called "Another Time, Another Place". 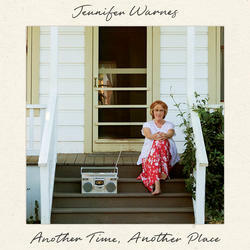 Every new album Jennifer Warnes creates is a showcase of musical beauty, lovingly crafted and gorgeously performed. We can expect nothing less of one of the world's greatest interpretive singers. With glorious production and performances, and of course, impeccable vocals, "Another Time, Another Place" features the cream of the crop of songwriters including Eddie Vedder ("Just Breathe"), Mark Knopfler ("Why Worry"), John Legend, Warren Haynes, Derek Trucks and more. Reuniting with bassist-composer Roscoe Beck (who co-produced her seminal classic Famous Blue Raincoat), Ms. Warnes shapes ten classic tunes into a timeless narrative of living, loving and making sense of changing times. Joining Warnes are brilliant musicians and friends such as Dean Parks (Steely Dan, Bob Dylan), pedal steel king Greg Liesz (k.d. lang, Eric Clapton) and drummer Vinnie Colaiuta (Frank Zappa, Sting). Jennifer Warnes has always been known as someone who makes beautifully crafted records with an open heart, unafraid to show emotion and love through her work. It's the perfect time for "Another Time, Another Place". Jennifer's long-time mastering engineer Bernie Grundman artfully brings out all the detail, presence and harmonic body of this amazingly life-like recording. This SACD contains an HDCD encoded Stereo CD layer which is playable on most conventional CD Players!